BABY GIRL WONT HAVE A BOY FRIEND UNTIL SHES 36. - ProudMummy.com the Web's Community for Mums. 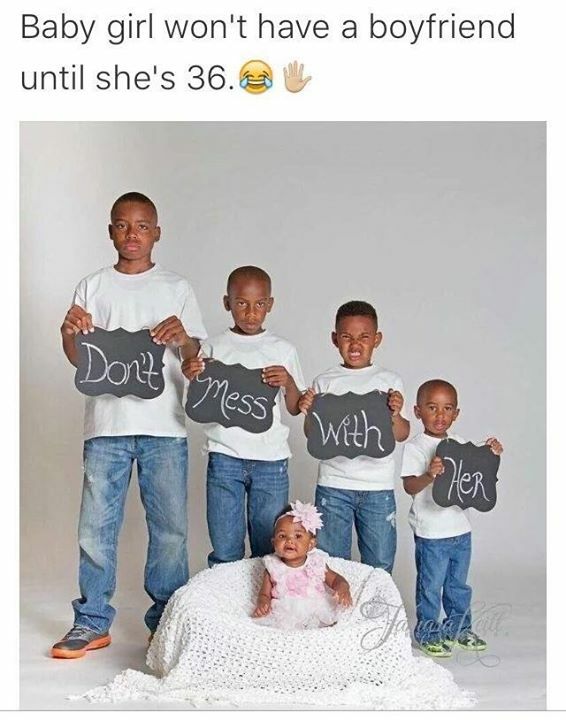 Home » Memes » OMG » BABY GIRL WONT HAVE A BOY FRIEND UNTIL SHES 36. BABY GIRL WONT HAVE A BOY FRIEND UNTIL SHES 36. BABY GIRL WON'T HAVE A BOY FRIEND UNTIL SHE'S 36. Allan Ironmonger think this might b picture Linzi Wood was talking about? But I feel like this about my son ! But you forgot the biggest boy who wants to put her in a tower already!!! Joanne Thompson McMahon did you do this with your boys and princess?